John Rea scored a sensational success with his adaptation of Alban Berg's 'Wozzeck' for chamber ensemble, and now this Canadian composer and highly knowledgeable arranger is back. His ensemble version of Berg's Three Orchestral Pieces op.6 was commissioned by the Musikkollegium Winterthur. 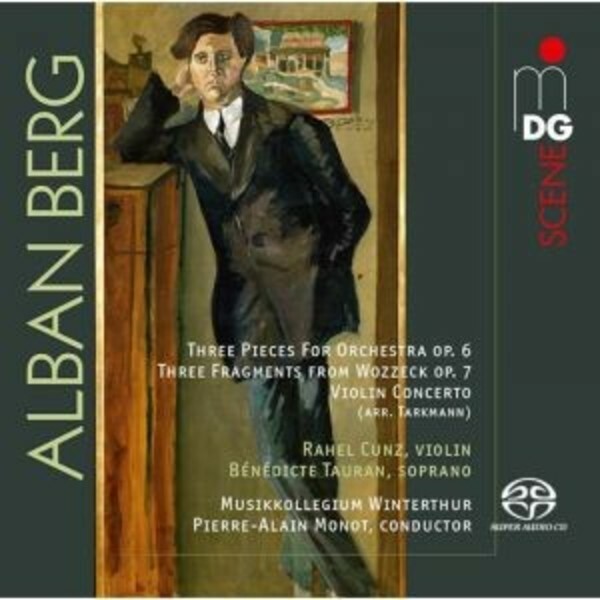 Pierre-Alain Monot and his Winterthur colleagues have recorded these pieces and a version of Berg's famous Violin Concerto reduced to the smallest ensemble dimensions by Andreas Tarkmann for MDG. The arrangement of large orchestral works for smaller ensembles was very much a tradition in Berg's immediate environment. The arrangements continue to be popular today and MDG offers these in the Winterthur premiere of John Rea's arrangement of the Orchestral Pieces in lavish 3-D technique. The carefully produced Super Audio CD 2+2+2 recording enables the listener to participate directly in this memorable event.